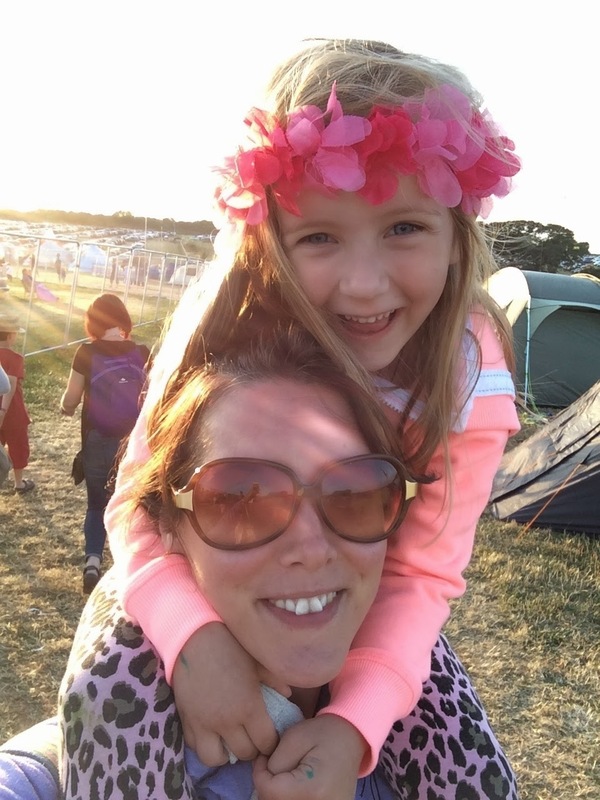 I ♥ Motherhood: Camp Bestival - A Family First! This weekend was a first for us. We went camping as a family. 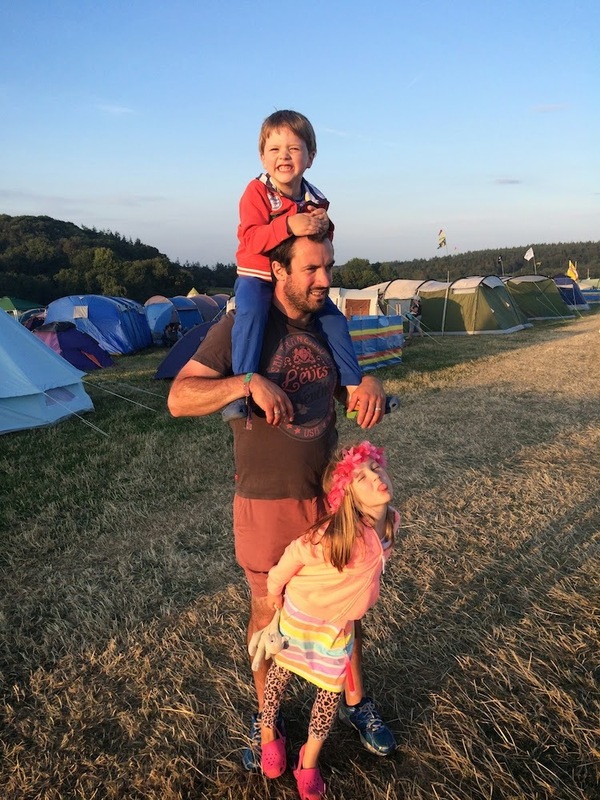 But even better than that we camped as a family at Camp Bestival!! I love festivals. I've not been to loads but I have great memories of the few that I have been to. So I felt a bit like I was starting to reclaim back little pieces of me this weekend by going to Camp Bestival. We bought our tickets months and months ago and I thought the time would drag in anticipation of the event. 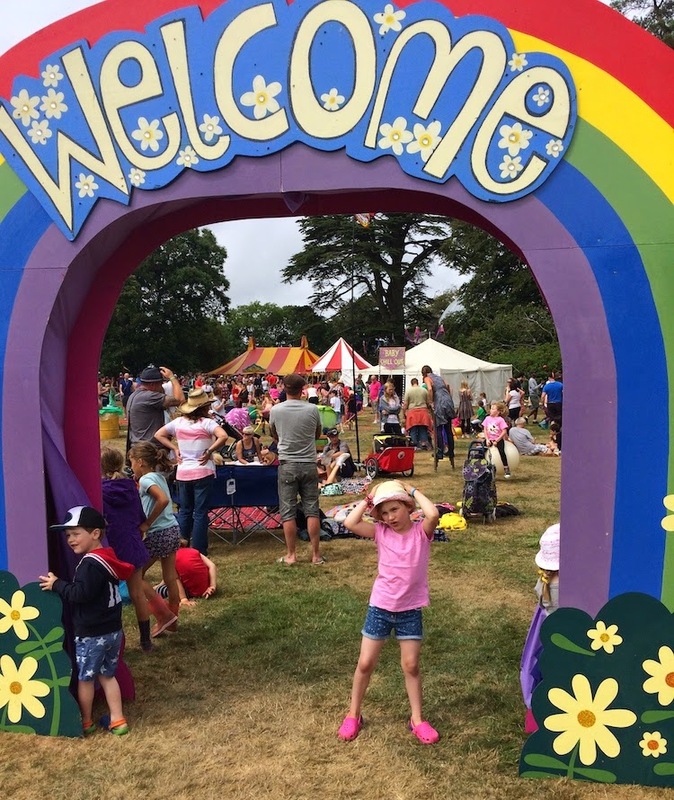 I'm not going to pretend it's cheap, because it isn't, however Camp Bestival offer a really nifty payment plan where you can pay a chunk and then pay a small amount weekly. It made the expense feel more palatable and go unnoticed. In preparation we got all our camping gear, including a brilliant Outwell tent from eBay - a 6 man beast, which when up made all the difference to our camping experience, so much room and complete with it's own carpet! New sleeping bags, camping chairs, festival bunting made by my sister (v important), glow sticks, kettle and all manner of other camping equipment was acquired. We talked about our camping trip to the kids non stop until the event was suddenly here! 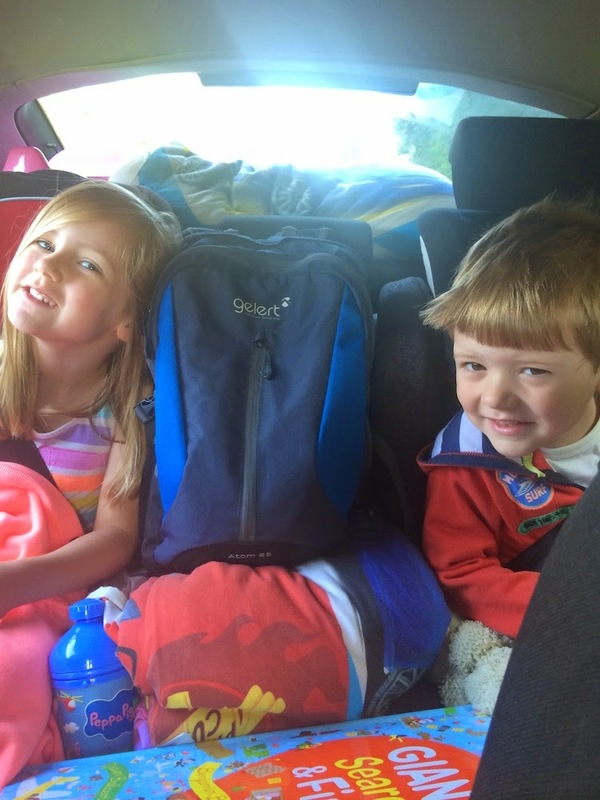 On Thursday we set off from home to East Lulworth in Dorset with much excitement and our car bulging! We purposely bought tickets for early Thursday entry so we had maximum time to set up and get settled. The road was long and everyone was a bit restless by the time we arrived but with the aid of Mr Trolley we got all our stuff from the car to the campsite. As we were Camp Bestival Newbies we didn't think too carefully about where to camp apart from to pitch within about 5 minutes walk of where we entered the site. This had it's pros and cons. Pros were that we were in a fairly quiet spot, meaning less noise and it wasn't crowded. Cons were that it was a real trek to the festival site, there were no showers in our campsite and toilets weren't plentiful. However I'm not going to complain about this. We didn't suffer for not having a shower (and boy was that shower on my return the best one I'd ever had). The kids loved breaking out of the normal routine and dry hair shampoo isn't bad really. Once we'd set up (which took hours! ), we cooked a nutritious meal (supernoodles), got to know our neighbours and their kids (thanks to them for helping us set up the tent and child minding while we did so!) and then went for a walk to get the festival vibe started. This is where we saw how hilly Camp Bestival is....! The kids loved sleeping in the tent, they slept well all 3 nights we stayed (should have been 4 but we skipped the last one). Me and the OH on the other hand felt rather worse for wear after a night on the air beds and random car alarms going off, but that wasn't going to spoil our fun. After breakfast off we went for our first day in the festival. Wow, I've broken my blog silence, Camp Bestival must have ignited more than a passion for festivals. 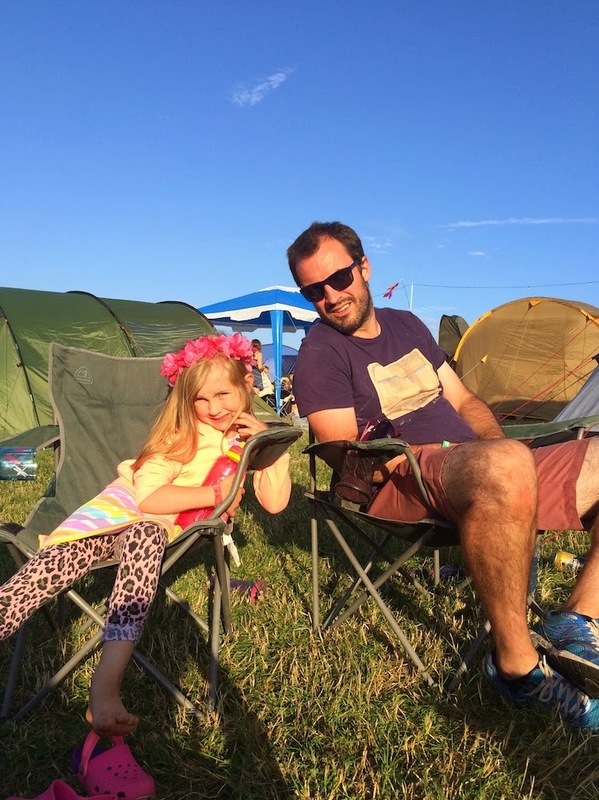 We bought our own tickets for Camp Bestival. These posts come from the pure delight that we experienced there and a need for me to get back to documenting our family fun. It sounds like you camped where we camped the first year we went too. Since then we've ended up closer and closer to the arena. Love all that blue sky in your photos - and the happy faces of course! Yay! Love the joy in this. Haha to the hilly hit, I felt like I had run a marathon by Monday, and managed to lose weight despite all the chips and churros! Glad you had fun, looking forward to your next instalment! So interesting to hear everyone elses camping experiences, we were really really close to the main arena, so had a completely different experience, super noisy, but much less walking! We were really close to all the action and it was pretty noisy, but we loved being in the heart of it. Lovely photos.